In the heat of summer, sweet relief comes from the use of air conditioning units. Not only does this bring comfort, but it also makes the home safer for those who can’t be in excess heat due to health concerns. If you find that your air conditioner is constantly running and cannot maintain the temperature that you set it to, it might be time for an HVAC inspection to see if repairs are needed. There are a few culprits that could be the cause of the home not reaching ideal temperatures. If your home gets a lot of sunlight through the windows, it can make a room feel warmer and also make it difficult to cool. This is especially common with homes that have old windows. An easy solution to this is to block out the sun using curtains or blinds. Some homeowners will invest into blackout curtains that darken the room almost in full. To fully remedy this problem long term to allow sunlight during the summer, replacement windows that have UV protection and have double or triple panes are the best option. Refrigerant is a vapor that runs through air conditioning units and cools the air that passes through it. There are copper lines that carry this vapor through the unit and should feel cool to the touch but if there is a leak, that may feel warm. If there is a refrigerant leak, it may cause the unit to run warmer than desired. Locating and repairing the leak will prevent future loss of the refrigerant. A dirty air filter is one of the biggest issues that cause air conditioning units to work harder and make it difficult to fully cool a room. 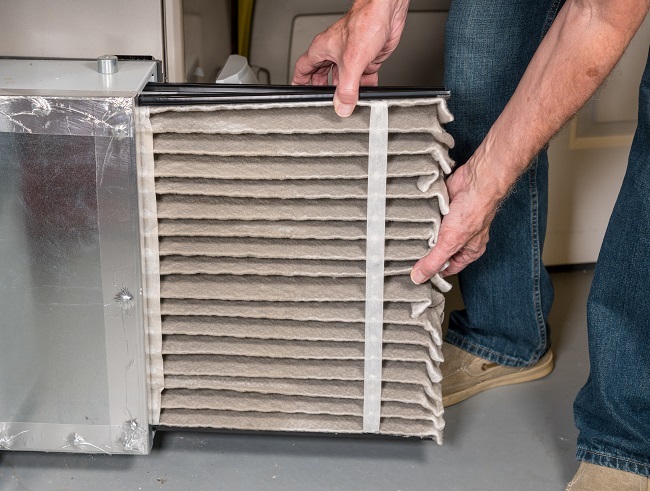 Dust, pollen and other debris will clog the filter and prevent airflow. If air isn’t flowing well through the unit, the house will feel warmer. Follow the manufacturer’s recommendation for replacing the air filter but also keep in mind that pet owners may need to change the filter more frequently due to pet hair. If you notice that your air conditioning unit isn’t reaching ideal temperatures and need a professional to determine the cause, Wayne Price Heating and Air Conditioning is here to help. Contact us today to schedule an appointment.